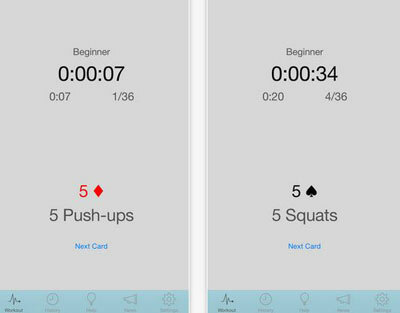 RipDeck: a deck of card on your iPhone that helps you reach your fitness goals. Each suit has a different exercise with the number of repetitions for you to try. Sweat Deck: helps you mix your workout routine to keep your body on its toes. 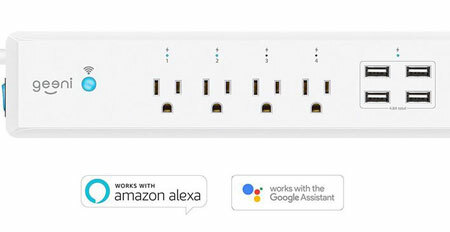 It has a built-in list of common exercises for you to choose from. Its deck & rep multipliers give you more intense workouts. 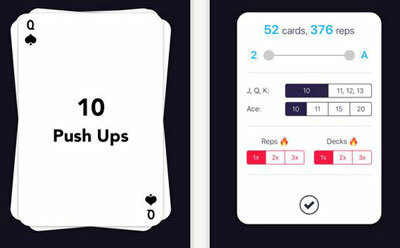 Deck of Cards WOD: a customizable WOD deck of cards with each suit representing an exercise and each card value showing the number of reps you should do. 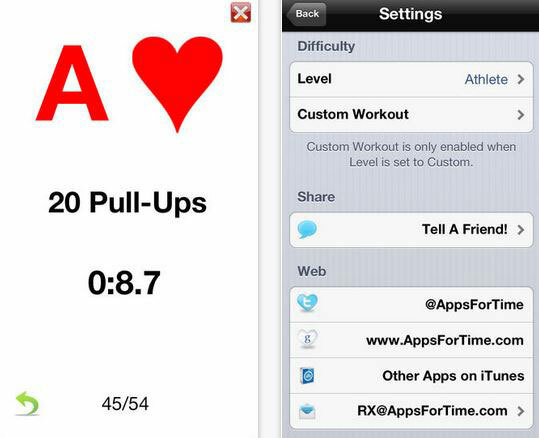 Have you found better workout decks for iOS? Please share them here.